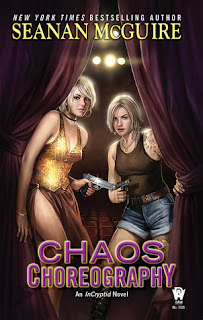 Chaos Choreography is the fifth book in Seanan McGuire’s InCryptid series and returns readers to the life of Verity Price. As the member of the Price family who has held onto dreams regarding a more “mundane” life, Verity has thought about her abbreviated career as a dancer more than once. So when she gets a call inviting her back to the stage as a participant on Dance or Die, a So You Think You Can Dance sort of television show, Verity decides to give dancing one more shot. If she wins, Verity and her husband Dominic (formerly of the Covenant, still not wholly beloved by the rest of the Price family) will spend a year in New York, but if she loses, then she’ll commit herself completely to her work as a cryptozoologist without regret. Of course nothing is ever that simple, and Verity soon finds that on top of dealing with other contestants and judges, some of them more friendly than others, something is killing dancers as they’re eliminated from the show. 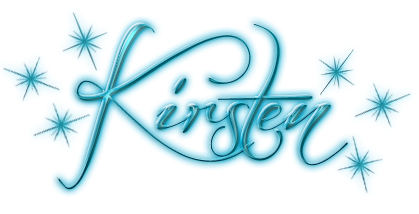 As she works to solve the mystery it becomes clear to readers and Verity herself that while she loves to dance, cryptozoology is where she truly makes a difference. As with the rest of the series, there are plenty of interesting secondary characters, both humans and cryptids, among them Pax an Ukupani and Malena a chupacabra, as well as a few dragons, and of course the Aeslin mice. The focus is more on dance than fight scenes in this book, as it should be, and McGuire gives both the attention and detail they deserve, showing that Verity excels at both, and this mirrors how she is working to reconcile these two aspects of her own life. Longtime readers of this series will definitely get a kick (pun intended) out of this latest book, but anyone new to the Price family should start at the beginning in order to appreciate how far Verity has come and the obstacles she’ll soon be facing in future adventures.